Congratulations to three upstanding young citizens who were nominated for this year’s Good Young Citizen of the Year award. 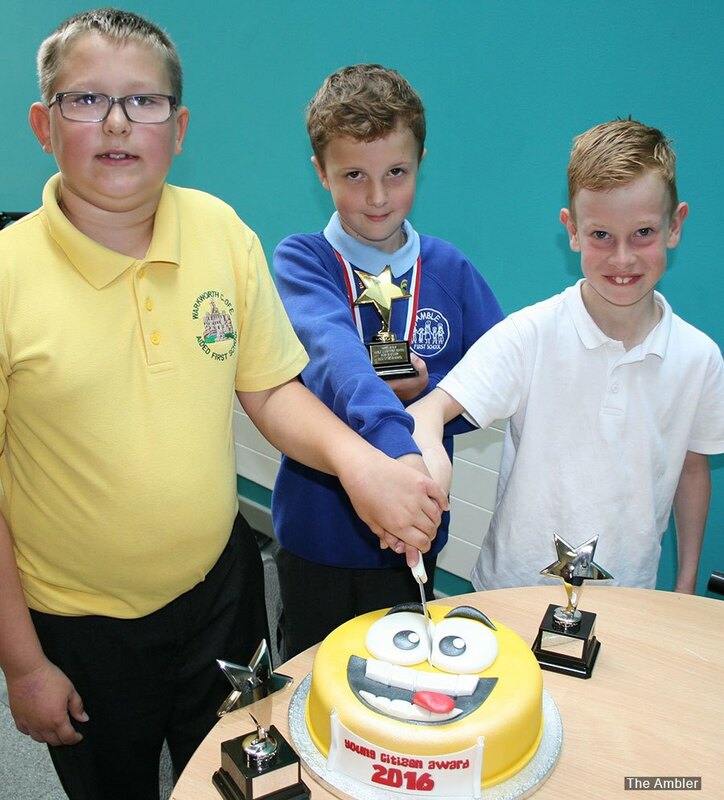 Harry Angus, Evan Falkous and Daniel McNeill, all aged 9 were nominated by their schools for outstanding behaviour and attitude to work and their community. All three were given certificates, trophies and a goody bag full of prizes donated by local businesses. 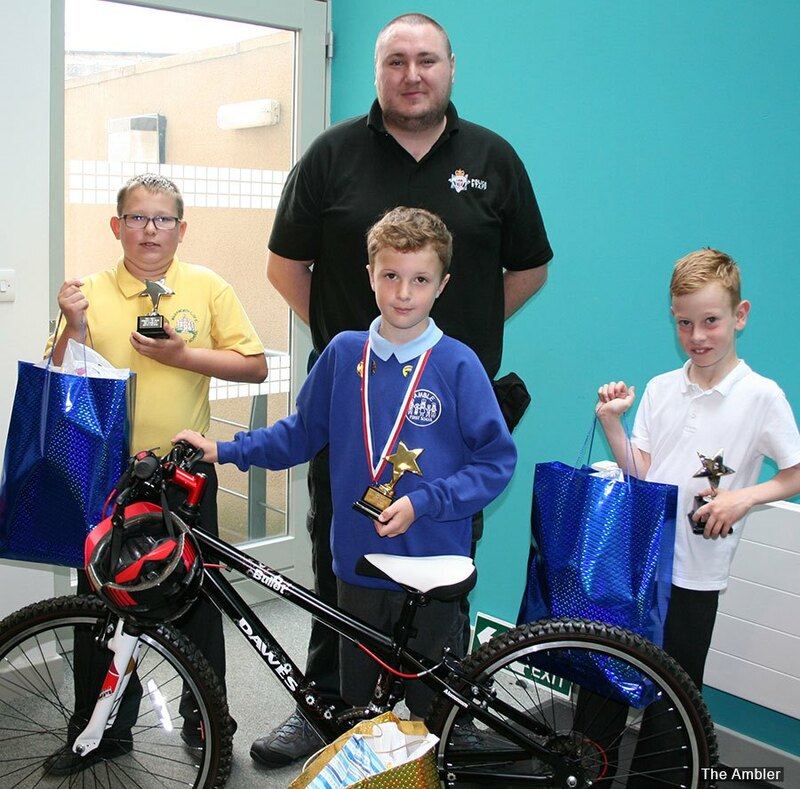 Overall winner Harry Angus is a pupil at Amble Links First School. He won a bike, donated by Spurreli. “I’m really happy” he smiled. Mum Kathryn admitted Harry was always well behaved at home as well as at school. “I’m very proud of him” she said. Amble Links School described Harry’s achievements: “Harry was particularly helpful during a recent school holiday when he was one of a few volunteers who offered to help in the school grounds and soon got to work disassembling a shed which he later help rebuild at home. Harry is often involved in community activities and has helped out at the Children and Communities First cake stall at the Puffin Festival, fundraising picnics, taken charge of glitter tattoos at school discos and run the ‘hook a duck’ stall. “I was recently approached by a very appreciative gentleman who Harry had kindly helped lay bark chippings with in the park at Warkworth when no other volunteers had turned up; he was very impressed with such a kind offer of help. Harry is described as being ‘perfect’ for his disabled granny who he regularly helps with jobs including stripping wallpaper, gardening and even drilling holes! Daniel McNeill attends Warkworth First School. “I got told I had been nominated when I got back from holiday,” he said “I’m really pleased”. Daniel’s school was full of praise for him: “In school Daniel is always helpful – he is a dinner monitor, garden helper and a member of the worship rota. Daniel is an excellent buddy to younger children and is always ready to lend a hand with staff. The awards were handed out by Amble CSO Ken Mouat, who gave the youngsters a tour around the police office, much to the delight of Evan who declared he wanted to be a police officer when he grew up.